For Abby to show caring for Parkinson’s disease at her tender age, shows kindness beyond belief. Meeting her was a privilege. 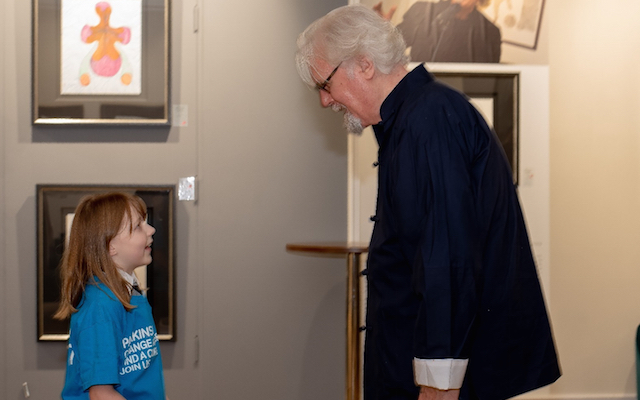 The mother of a Scottish schoolgirl who met Sir Billy Connolly after raising money for Parkinson’s has said she is “blown away” by her daughter’s charity campaigning. 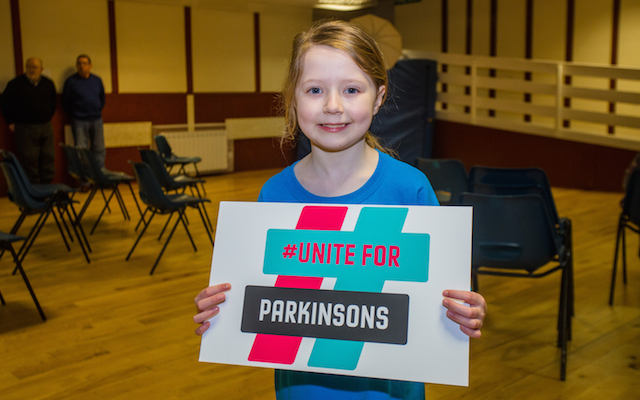 After learning about Parkinson’s during a class project on the Scottish comedian, seven-year-old Abby McConnell from Mount Florida primary school in Glasgow, Scotland, was so inspired by his story that she took it upon herself to fundraise for Parkinson’s UK. For Karen McConnell, Abby’s mother, it was her daughter’s sensitivity and compassion that was particularly touching. Talking to Parkinson’s Life, she said: “Abby came home from school and said that her teacher had taught them that Billy Connolly had Parkinson’s disease, and told us how that could affect your brain. Abby McConnell at Rutherglen support group. After organising fundraising events at school, and encouraging her schoolmates to get involved, Abby initially set herself the modest target of raising UK £50 – but has now collected more than UK £1,200 for Parkinson’s UK. Upon hearing about Abby’s efforts, the iconic Glaswegian comedian asked to meet the young fundraiser at the launch of his new art exhibition ‘Born on a Rainy Day’, and even gave her a piece of artwork to thank her. Abby ­has no plans to stop there,and recently took part in a Parkinson’s exercise class, where she got to meet and talk to people living with the condition. She has also been made a Parkinson’s UK ambassador, and is already planning her next fundraiser. 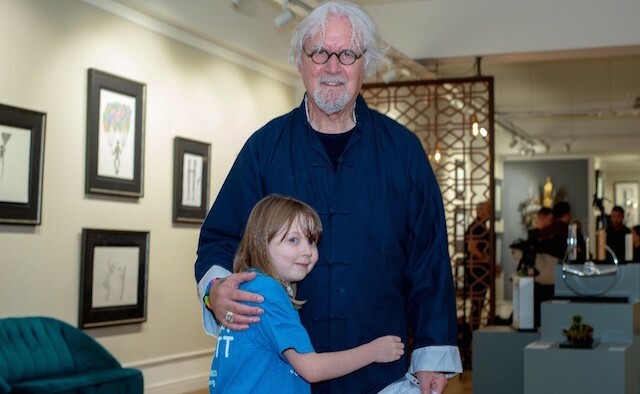 Abby met Sir Billy Connolly at his art exhibition ‘Born on a Rainy Day’. To help the McConnells raise funds for Parkinson’s UK, visit their fundraising page here.